By looking at personal sources such as diaries, petitions, letters and social sources including the press, The Civil War Experienced clearly sets out the true social and cultural effects of the wars on the peoples of England, Scotland, Wales and Ireland and how common experiences transcended national and regional boundaries. It ranges widely from the Orkneys to Galway and from Radnorshire to Norfolk. 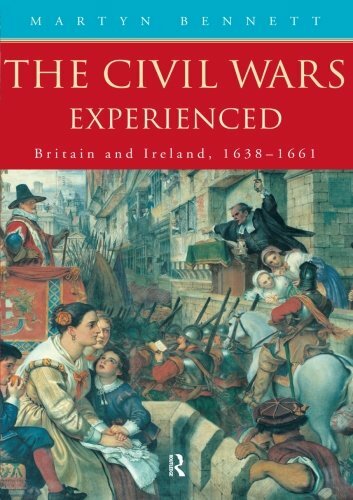 The Civil Wars Experienced explores exactly how far-reaching the changes caused by civil wars actually were for both women and men and carefully assesses individual reactions towards them. For most people fear, familial concerns and material priorities dictated their lives, but for others the civil revolutions provided a positive force for their own spiritual and religious development. By placing the military and political developments of the civil wars in a social context, this book portrays a very different interpretation of a century of regicide and republic.